distribution The southern Coastal Plain, from Carteret County west to Moore and Richmond counties. As would be surmised from the range, NC lies at the northern edge of the species' range. The Richmond County records (photographs first taken in 2011) extend the range slightly northward, and a record from adjacent Moore County in 2017 extends the range even more to the north. A photographic record in 2013 confirms the species from Bladen County, filling a gap in the former range. A photographic record from Carteret County in 2017 greatly extends the range eastward. abundance Extremely local, known from only a handful of lakes and ponds in the state; however, not scarce at one or two sites in Richmond County. Range and abundance between the lower Coastal Plain and the Sandhills (Richmond County) is unknown, but SC has no records away from the Sandhills/Fall Line counties. Interestingly, as many as 10 individuals have been seen at the Richmond County site. flight Fairly early in the season: mid-April to mid-May. habitat Lakes and ponds with sand bottoms and heavy vegetation, often with lily pads. The primary Richmond County site is a lake adjacent to a fish hatchery, with some dense concentrations of lily pads and other aquatic vegetation, particularly near the dam. The Bladen County record is from a large natural Carolina bay lake. The Carteret County site is a fairly large limesink pond, in otherwise sandy pinelands. 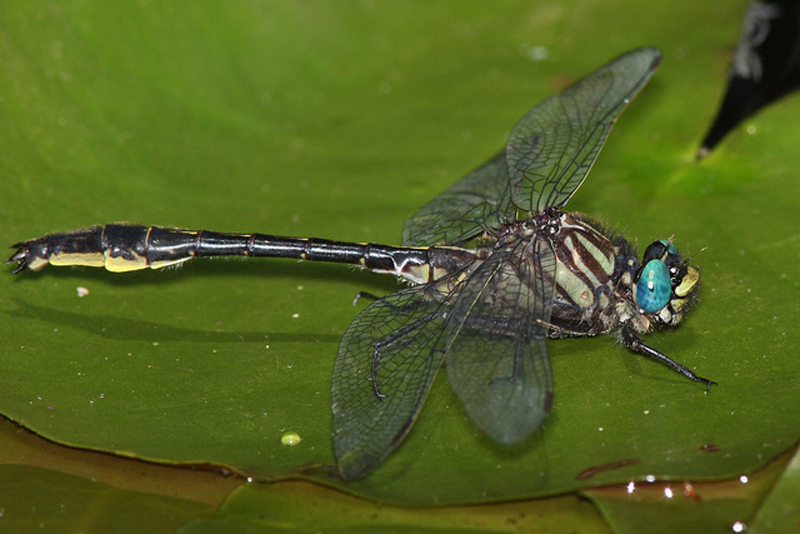 behavior Males perch on lily pads and other vegetation close to the lakes and ponds. comments Both Dunkle (2000) and Beaton (2007) mention the association of the species with lily pads. Thus, it suggests that biologists should try to find the species by searching out ponds or lakes with many lily pads. Gratifyingly, in the past few years, biologists have expanded the range and known sites and counties for the species in NC; it is not nearly as rare as thought just a few years ago. Comment: Carteret, 2017-04-30, - Three males seen and photographed at Patsy Pond in Croatan National Forest.